Books change often so please take a look any time you are in the Library; you might find that book you are missing from a series, or a childhood favorite to give to a favorite child, or a signed book by a local author. 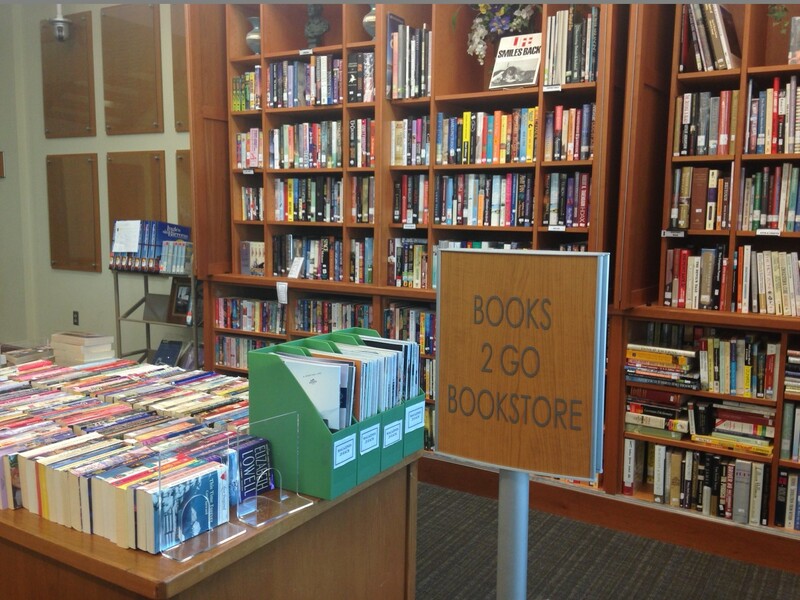 In addition, Books2Go offers music CDs, audiobooks, and DVDs. Volunteers run the Bookstore for the Friends of the Greenwood County Library. Come visit or revisit us soon. Books2Go currently has a great selection of classic sets : Great Books by Encyclopedia Britannica, the International Collectors Library sets, The Seafarers by Time/Life, and The Old West by Time/Life. All are less than 1/2 Amazon prices plus there are no shipping charges when bought locally. Books2Go also has a huge selection of sewing /craft booklets at .25 each plus Buy One Get One Free - needlepoint, cross stitch, quilling, origami, quilting, framing, patterns, and much more. The Semiannual Book Sale is sponsored and staffed by the Friends and features a great selection of books and other items at unbeatable prices. It’s a great way to recycle materials and raise money for special programs while promoting an enthusiasm for reading. The Friends accept donations of books, DVDs, audio books and more for sale at the Semiannual Book Sale. Donations can be dropped off at any Greenwood County Library location. Volunteers meet to price materials for the Book Sale and share their love of literature. The Book Sale runs Wednesday through Monday during Library hours for the Spring and Fall Book Sale each year.